Cats are favorite pet animals. Cats have 2 eyes, 2 ears, 1 tail and 4 legs. The kids of Nursery enjoyed the enactment/ dramatization of the rhyme "Three little kittens" The tiny tots recollected number-3 and the concepts of cats and kittens, sad and happy in a fun learning method. The little ones recited the rhyme and the characters dressed as little kittens and the mother cat enacted on the rhyme. Through this activity they could recognize pet animal cat, number-3, baby cats are called kittens. A guest lecture was organised for the students of Grade 5 where, Miss Jyoti Gupta, Branch Manager of HDFC Bank explained various bank procedures. Students were given information about advantages of banking and advanced banking facilities like Net Banking, Mobile Banking etc. Students took interest and questioned for their queries. On Thursday, 27th November 2014 little Wittians of PG were introduced to Clowns in the Circus and dancing Dogs, Seals and Bears. They were told that clowns are very important in circus. Clowns perform and entertain the audience. They make them laugh. Children were dressed like clowns and enjoyed putting the nose on the clown picture. Shining bright with choco chips on top. Bought the cookie and took it away. Cooking is a messy, delicious, sometimes time-consuming activity, especially when done with a little one. However, we at Witty World believe that it's never too early to start developing culinary skills since, they give a complete sensorial experience to our children. 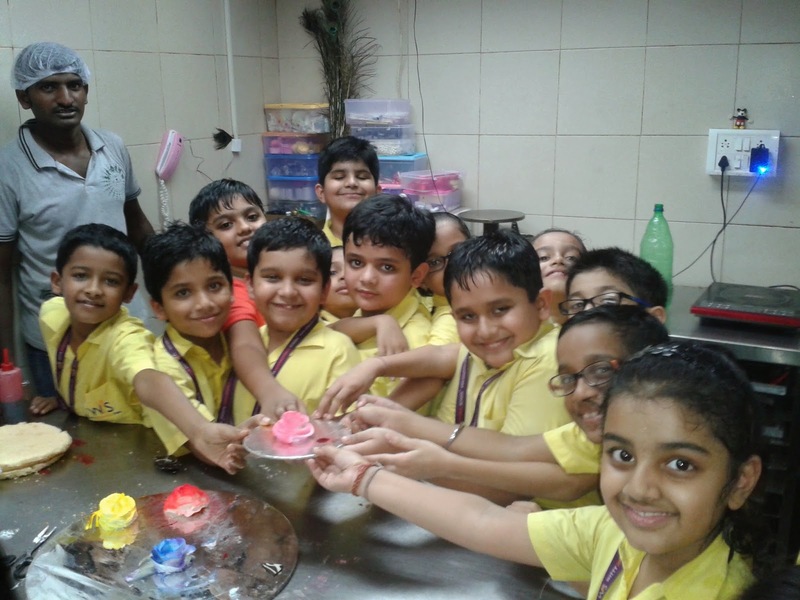 The young chefs in the junior kg class at Witty World Bangurnagar made some scrumptious sweet appetizers using monaco biscuits, jam, cheese and choco chips! The kids had a splendid time putting the toppings of their choice on the biscuits and then in the end devouring the results,of their endeavours! On Wednesday, 26th November 2014, little Wittians of PG were introduced to the Giant Big Top. Children were shown pictures of the tent and told them that it is also called ‘The Big Top’. They were also told that circus tents are among the biggest tents in the World. Children enjoyed sitting under the parachute pretending that it is the circus tent. Children also enjoyed the circus scene created in the class. Students of Grade 6 enjoyed an activity in the school garden wherein they were introduced to the different types of venation in leaves, root system, creepers, climbers etc. Students were able to differentiate between Tap root and Fibrous root. They could also identify Reticulate and Parallel venation in the leaves they collected. This practical approach goes a long way in facilitating learning. It was a great learning experience for them. Field Trip to Huckleberry Bakery Grade III Primary Section. ( 2014 - 2015 )WIS, Malad. 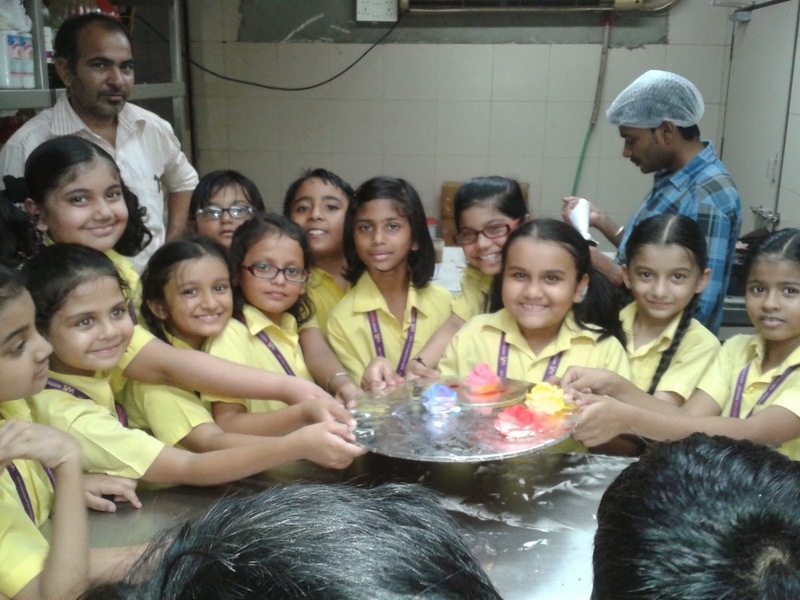 A visit to Huckleberry Bakery was organised for the students of Grade 3 on 24th November, 2014. Students were taken on the trip around the bakery to see the various stages of production of croissants, breads, pastries, cakes and chocolates which is their all time favourite. They saw how these bakery and confectionery items are made and the cake garnishings left many of them amazed. The students received chocolates on behalf of the management. WIS would like to thank the management and the staff of Huckleberry Bakery for making the trip informative and enjoyable for the students. On Tuesday, 25th November 2014 children of Nursery were introduced to Wild Animal Cat. Children were told that Cats have 2 eyes, 2 ears, 1 tail and 4 legs. They have whiskers and lap up milk and eat fish and have coloured eyes. They sleep during the day and are awake during the night. They can see better in dim light and can climb trees. They also made Cat Face Mask and its whiskers and enjoyed the activity. Today Students of WIS Bhilwara got a wonderful opportunity to hear golden words by respected Maharaj Shri Ravindra Muniji. He addressed the students and enriched the morning with his teachings based on student’s life, good manners, values, healthy living etc. He also taught few yoga ashans for improving memory power of students. He laid emphasis on values and said that good manners play a significant role in building human relationships. It lays the foundation of stable social patterns. They are an index of the degree of refinement, whether it is in individual, in a society or in a nation. Students listened to Maharaj Shri Ravindraji very keenly and promised to adopt his teachings in a positive way. At the end Ma’am Principal thanked the guest for his valuable teachings. 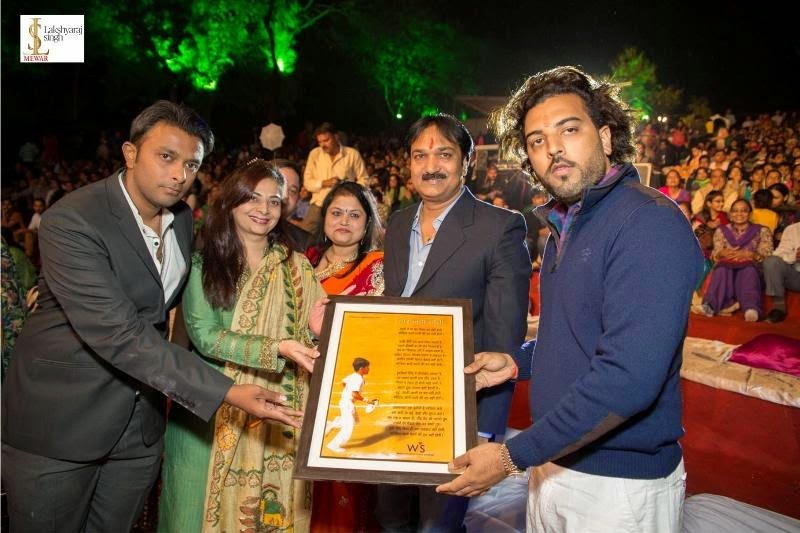 WIS, Udaipur celebrates its 5th Annual Day! 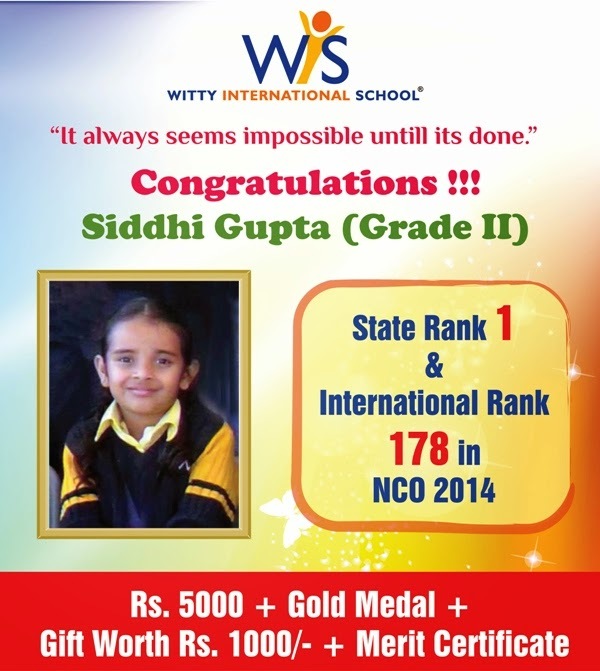 With this thought in mind, Witty International School celebrated and centered its Annual Day 2014-15 around the “natural laws” mentioned above- the Seven Vows of Wittians. The program began by Saraswati Vandana and welcome song. Then a speech was given by the chief guest Shri Lakshya Raj Singh Ji Mewar and D.F.O. Smt. Shailja Dewal were welcomed by CEO Mrs. Preeti Sogani and Mr. Deepen Sogani. Principal Mrs. Shubha Govil welcomed the guest and parents. The students presented welcome dance on “Desh Mera Rangeela”, the dance which encouraged everyone to live in harmony and respect everyone’s religious faith and other beliefs. 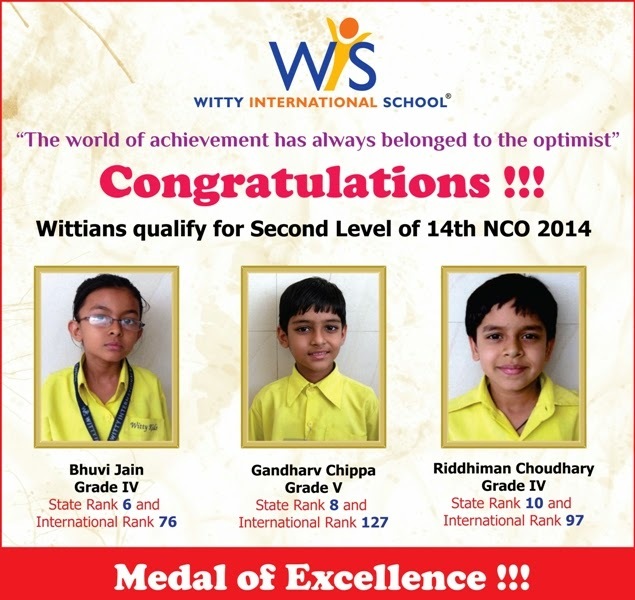 “Witty News” informed everyone about the happenings at WIS throughout the year. 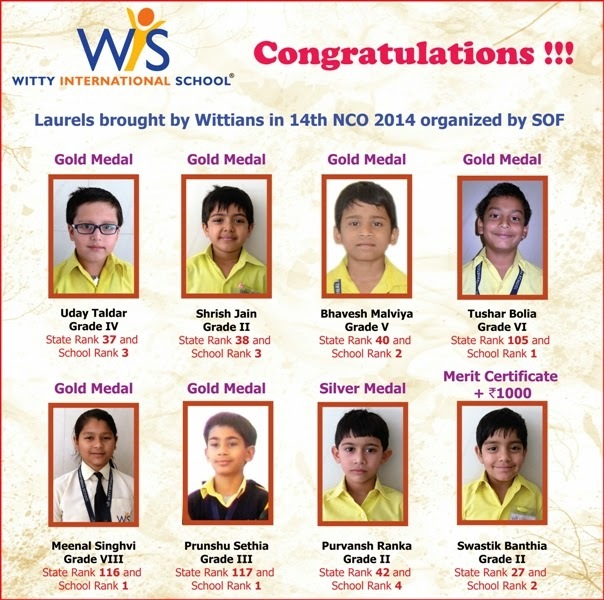 Next, little students of WIS challenged the politicians who try to befool the innocent public. Then Lord Krishna danced on Kalia Naag to depict the victory of good or evil. ‘Bakkad bam’ song reminded us about Lord Shiva, who kills all negativity and brings auspiciousness. After this, the little angels of playgroup presented a dance for their daddies on the song “Daddy Cool”. The nursery students joyously danced on a Christian song “Joy in my heart.” Then a dance by grade 2 students on “Bande hain hum uske” gave goose bumps to everyone. This was followed by a song on Mahaveer ji, traditional Rajasthani folk dances, an enactment on Buddhism, Japanese fan dance, and an instructive play on Sikkhism. Further, “Pagdi sambhal jatta” inspired everyone present to overcome their differences and save and contribute to the nation in whatever way they can. Gidda and Bhangda performances invoked pleasant feelings towards the rich and dynamic Punjabi culture. The program was concluded by Islam culture, and the message given in this section was that the same 7 vows are present in Islam as well. Finally the Senior Co-ordinator Ms. Joyce Rodrigues gave Vote of thanks. Witty family parted for their homes after singing the National Anthem in unison, feeling elated after having attended the Annual Day 2014-15. 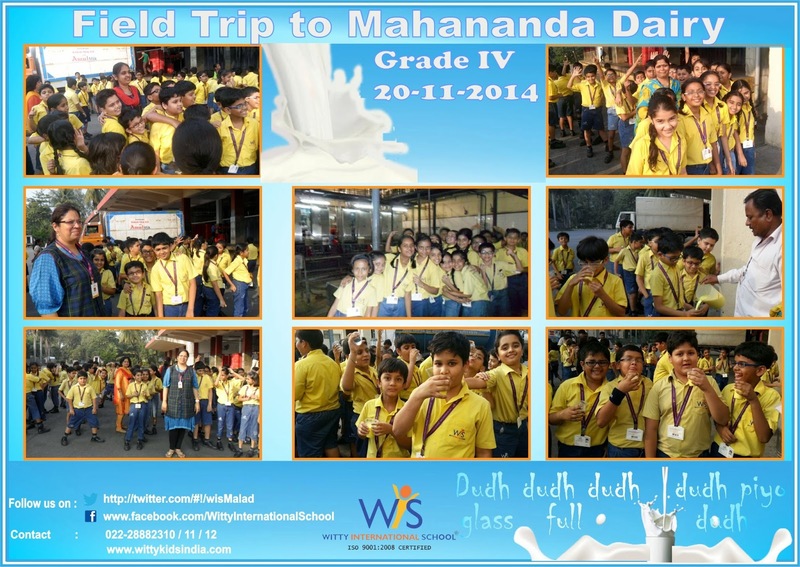 The students of Grade IV were taken to the Mahananda Dairy on 20th November, 2014. The children first saw the packaging unit where the milk packets were getting filled and sealed. They were then taken to the cold storage where the milk was stored. The students also saw the Silos where the milk is collected. Information regarding all these processes was given to the students. At the time of departure, the students and the teachers were served with flavoured milk. 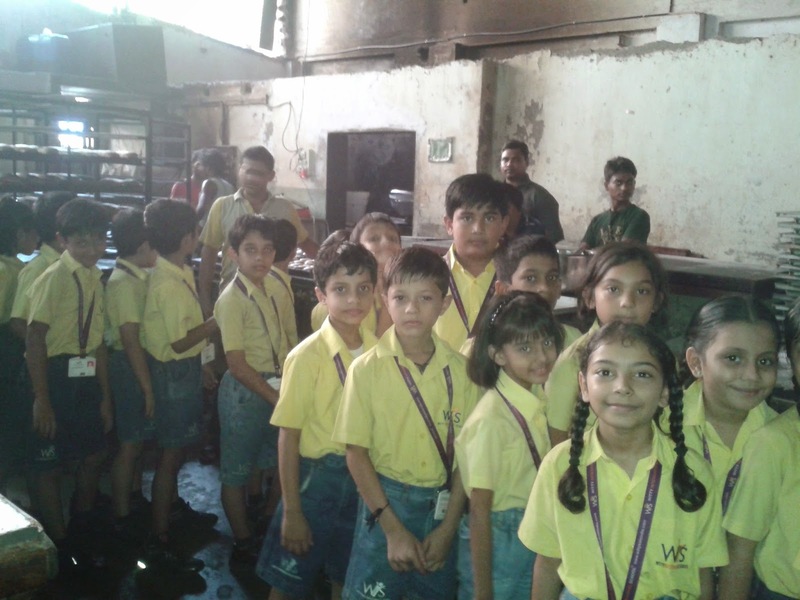 Children thoroughly enjoyed the field trip and went home with a lot of information about the functioning of a dairy. The visit to Mahananda Dairy was truly an enriching experience. The teachers thanked the staff of Mahananda Dairy for their valuable time, assistance and co-operation. Stamp collection is a good hobby, a useful pass time. Stamps collection helps the collectors and viewers to know about the various aspects of life, philosophy, great men and women, culture, festivals, folks, traditions, resources, progress in industries, science and technology of various countries during the different periods of history. Today at WIS Bhilwara students of Grade I to VII got a wonderful opportunity to watch the stamp collection of Mr J.V.Israni from Delhi. He is 72 years of age and is a proud owner of collection of more than 27,000 stamps of 187 countries including India. Students were amazed to see his stamp collection on different themes such as leaders, presidents, prime ministers, flowers, railways, boats, costumes, transportation, Olympics, monuments, animals etc. Students were very curious to learn more about Philately. Mr J. V. Israni interacted with our young students and told them the importance of this hobby. Thanks to Mr J.V. Israni for the display of his rarest collection in our school.